Don't have enough time to check out one of our must-read book recommendations for nonprofits? How about a podcast! We know how busy the nonprofit world can be, so listen on the go to learn how your nonprofit can achieve success. AIDSRide founder Dan Pallotta wants us to "change the way we think about changing the world." This 20 minute TED talk explains why nonprofits should be more focused on big achievements rather than spending frugally. This podcast hosted by Denver Frederick sets out to solve social problems such as global poverty, education and affordable housing. Frederick interview some big names, including the CEOs of Make-A-Wish and Autism Speaks, to bring different and valuable perspectives to the conversation. You can listen here. 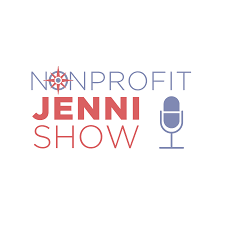 Nonprofit Jenni is a Charitable Marketing Coach who explores nonprofit management, marketing and development topics. You can listen here. Also, sign up for a free Webinar with Nonprofit Jenni for some fundraising best practices; sign up here! This weekly podcast by the Social Media Examiner explores how successful businesses employ social media, teaches new strategies and tactics, and gives tips to improve your social media marketing. You can listen here. 5. Want to Help Someone? Shut Up and Listen! Ernesto Sirolli uses a humorous approach in his TED talk to emphasize the fact that nonprofits need to really listen to the people they are trying to help in order to better aid those in need. This podcast sets out to teach you how to become a succesful nonprofit leader by sharing stories of those who have already succeeded in the nonprofit world. You can listen here.